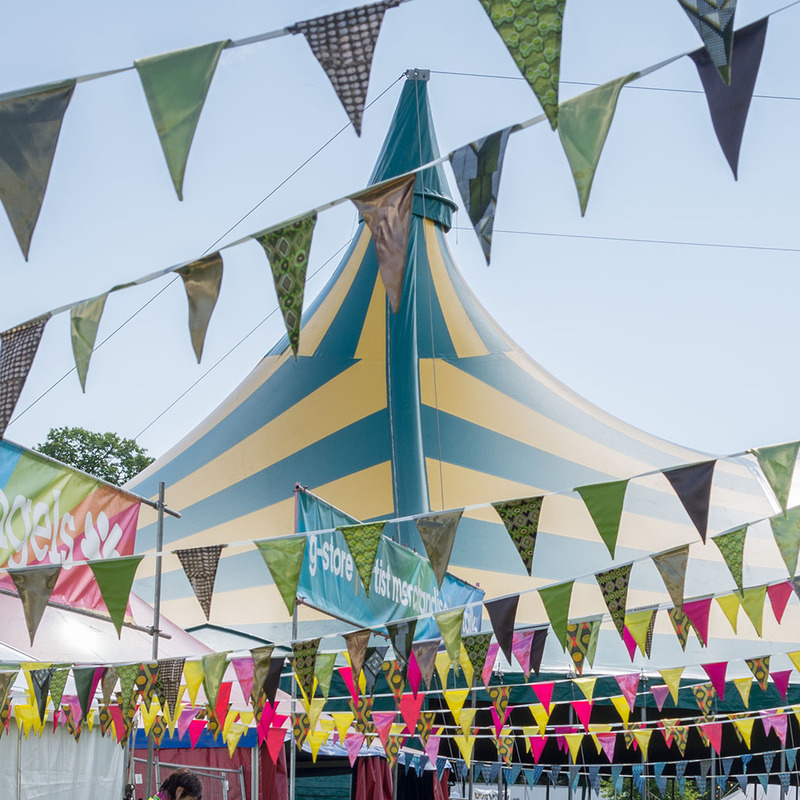 The Site Vibing team work together to install all the large sculptural signs, decorate the interiors of the venues – creating stage sets and decorative canopies, and festoon the site with vibrant colour. Our aim is to enliven the site, making focal points and creating distinctive places and characterful venues. One of the first volunteer teams to arrive on site, you get to see the festival emerge from the ether and then get neatly packed away again. You will need to be able to arrive on site on 18th August, ready to begin on the 19th. You will finish on 22nd, ready to enjoy you hard work as you take in the festival. Happy to carry heavy objects, use hand tools, and ladder climbing, whatever the weather. Our biggest and bravest team members. It’s important to have a creative eye, but also be systematic in your approach. You’ll need to be happy working at height. This is a great team for set design/theatre students as well as other nimble fingered, methodical and energetic people. We have delicious hot lunches prepared for us each day of build week as we work to prepare the site. And then are free throughout the festival itself to go and enjoy it. If you would be interested in volunteering during both Make & Build Week, please apply using either application form, and then email volunteers@greenbelt.org.uk to be added to the 2nd team.